I think everybody should experience inspiration. And aspiration. I have nothing against young people wanting to start a family and stuff, stay in their home-town forever, settle for a day job. But I suppose that’s just my take on it- I would hate to forever live in Bedford, missing out on the chance to see what else is in the world. But I suppose some people aspire to have a healthy family life, regardless of career or money. People have different priorities and things they want to achieve. But the thing I hate most, is hearing young people say they don’t want to do anything particularly. It’s not that they’re just unsure of what they want to do: it’s that they just can’t be bothered to have a think, do some research. And I can’t think of anything worse that a person lacking motivation, desire and drive. Fair enough, I don’t always have any of those things when I wake up and my day just goes from bad to crap. But there’s thing I wanna do in life, and I have desires for my life. I’m inspired everyday. It’s the things around me that inspire me to write this very blog. My parents have always inspired me, taught me to dream big and always work hard for things. And to always want more, to constantly better myself and above everything, be a strong girl. I want to be the person who makes other people decide to be that better version of them. But I know some people don’t always have that support, which I find really sad. We all know that when we see somebody inspirational on TV, or go to a seminar, or even read something about a person we admire for their accomplishments, it always makes us leave with a different view on life- as though we should constantly be trying to better ourselves. I mean, nobody is perfect. I feel sorry for people who have no desire for something better; who are happy to settle in a situation they wouldn’t necessarily want. But it takes a lot of work to constantly try for the things you want. Whether it’s for a promotion, a degree or losing weight, they all work on the same premise. It’s hard work. Very hard, but we can always be better. It’s healthy to have a goal, and to work towards something you don’t have now. I feel sorry for those who want to improve their situation, but the route to do so isn’t always clear. We should all have a role model, or an idea of what we want to achieve. Because as soon as you make that first improvement, and actually feel that sense of achievement that you’ve made a move towards something better, you’ll not want to stop. 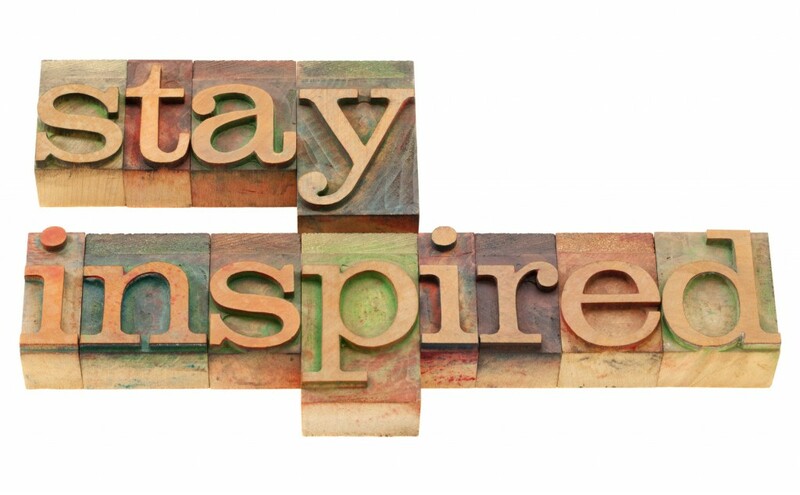 Take inspiration from everything and everybody around you. Use it as an example, and build on it, becoming the next (and better) version of you. You can do it. So can I.